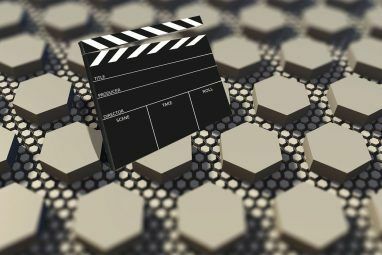 Try a few neat YouTube tricks 10 YouTube URL Tricks You Should Know About 10 YouTube URL Tricks You Should Know About Love YouTube? You can make it even better with these cool YouTube URL tricks that let you download videos, make GIFs, and more. Read More and you can get the best from the world’s most popular video website. Add the power of IFTTT to the mix and you have a recipe for never-ending entertainment or education. Pick the right IFTTT applets (earlier called “recipes”) and you can automate mundane functions and carry out some cool YouTube related tasks. 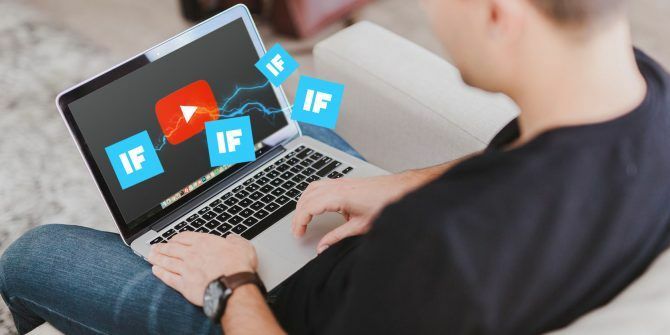 Here are some interesting ways you can couple YouTube with IFTTT to make your life easier. To begin, let’s connect IFTTT with YouTube. Open the IFTTT website and sign in or sign up. Next, navigate to the YouTube listing and click on Connect. Now, sign in with the Google account associated with YouTube. Click Allow to let IFTTT manage your YouTube account. Alternatively, you can also download IFTTT’s mobile app to accomplish the same thing. There’s no shortage of music videos on YouTube From MTV to YouTube: A Brief History of Music Videos From MTV to YouTube: A Brief History of Music Videos While music videos are mostly viewed on YouTube these days, this is only the latest stage in the evolution of a medium that can be as elaborate as film and as personal as photos. Read More . Using a few extensions, YouTube can even double down as a great music player These Extensions Make YouTube the Powerful Music Player You Need These Extensions Make YouTube the Powerful Music Player You Need While Apple Music and Spotify slug it out, YouTube remains the best destination if you want to stream songs for free. The only thing better is if you pair it with the right extensions. Read More . While it may work great for casual users, power users would want to stick with a music streaming service like Spotify. Traditionally, you watch a music video on YouTube, and then manually search for the title on Spotify to listen to it. What if you like a video on YouTube and want it to be automatically added to a Spotify playlist? Well, this IFTTT applet just lets you do that. Start: Enable this IFTTT applet and grant access to your Spotify account. Now, whenever you like a YouTube video, this applet will automatically search the song title on Spotify. If it is found, the song is added to a new Spotify playlist called “YouTube.” Not all songs on YouTube are available on Spotify. In the age of information overload The 5 Best News Curation Apps to Fight Information Overload The 5 Best News Curation Apps to Fight Information Overload You've got so much vying for your attention -- news articles, Reddit posts, tweets, Facebook posts -- but what if you could get it all curated in one place? Read More , it can be easy to miss out on a new video from your favorite YouTube channel. Digital bookmarking services like Pocket 9 Ways to Get More Out of Pocket 9 Ways to Get More Out of Pocket Pocket is the ultimate digital bookmarking service out there. Let's find out how to boost your Pocket experience with the right web apps and extensions. Read More can help you organize all the links in one place so you can read them later. If you don’t like having to add a link manually, this IFTTT applet can save new videos from your favorite channel in your Pocket queue automatically. Start: Enable this IFTTT applet and grant access to your Pocket. After enabling, select a channel from your subscriptions. Now, whenever the selected channel uploads a new video, the link should be automatically waiting for you in your Pocket queue. Please note that it works only for publicly uploaded videos. Buffer is a great tool to take your social media scheduling Buffer Takes Social Media Scheduling To The Next Level With Video Buffer Takes Social Media Scheduling To The Next Level With Video If you are a social media junkie, who likes to post ten times a day, then the tool you must have on your computer is Buffer. And Buffer now does video. Read More to the next level. It has native apps and handy browser extensions that let you schedule your posts from almost anywhere. But if you use it to schedule a YouTube video, there’s an even easier way to do so. With this IFTTT applet, all you need to do is — “like” a video and it’ll be automatically added as a Buffer post. Start: Enable this IFTTT applet and grant access to your Buffer account. Once enabled, just give any video a thumbs-up to share it via Buffer. The default description when sharing is “Liked on YouTube,” followed by the title and URL. You can customize the description to your liking from the applet settings. If you don’t use Buffer to schedule your social media posts, you can share your newly uploaded YouTube videos directly to your Facebook page or Twitter. It saves you from the hassle of having to manually post a new video on every social network and saves you time. Start: Enable this IFTTT applet. Next, grant access to your Twitter and Facebook account. While connecting your Facebook account, it offers you to choose a Facebook page you manage. Select the one you like and click Update. 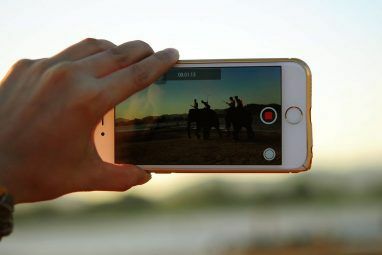 Now, whenever you upload a new video to YouTube, it would be shared to Twitter and Facebook automatically. You can also head over to the applet settings to set a customized message to be shared along with the video. Newsletters are a great way for a brand to engage with their followers. You can find and subscribe to newsletters on almost any topic — to learn something new Learn Something New With 10 Worth-It Email Newsletters Learn Something New With 10 Worth-It Email Newsletters You will be surprised at the quality of newsletters today. They are making a comeback. Subscribe to these ten fantastic newsletters and find out why. 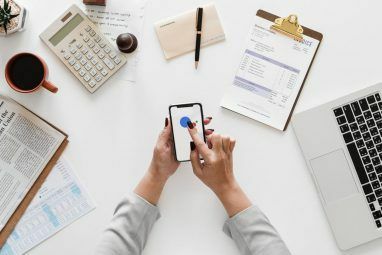 Read More , to help with your personal finances Cash In With 10 of the Best Personal Finance Newsletters Cash In With 10 of the Best Personal Finance Newsletters Learning more about personal finance is the first step to improving your financial situations. These 10 newsletters will improve your knowledge every day. Read More and almost anything. The idea is to aggregate information and send it via email after every week or so. Using this IFTTT applet, you can get a weekly newsletter containing new videos from your favorite YouTube channel. Start: Enable this IFTTT applet and connect your Gmail account. Next, select any channel from your subscriptions. Now, you should receive a newsletter email every Monday containing all the new videos from the selected channel. Maintaining a diary is an excellent way to document your life. Digital journaling The Beginner's Guide to Digital Journaling The Beginner's Guide to Digital Journaling Maintaining a private journal is a great way to build your writing skills, spill out your thoughts, desires, worries, and reflections on paper. The very act of writing itself can often help you think through... Read More is easier than ever, thanks to apps like Day One Power Up Your Journal Writing With These Day One Tips Power Up Your Journal Writing With These Day One Tips Journal or diary writing is a great way to exercise and improve your writing skills, document what is going on in your life, and to stay in tune with your thoughts and feelings. Read More . More than often, you can draw a direct correlation between the kind of video you’re watching and your mood. For instance, if you feel down, you tend to watch motivational videos. This may sound crazy, but the kind of video can often reflect your current state. Thus, it makes sense to document such videos in your journal along with time. It might evoke some great memories when you look at it later. This IFTTT applet saves liked YouTube videos to Day One. Start: To get started, enable this IFTTT applet and grant access to your Day One account. From now on, any video you like on YouTube would be automatically added as a new entry along with the date and the URL. It also auto-embeds the YouTube player right inside Day One for easier access. If you have a WordPress blog 10 Essential First Steps When Starting A Wordpress Blog 10 Essential First Steps When Starting A Wordpress Blog Having created quite a few blogs, I'd like to think that I have a good system down for those essential first steps, and I hope it can be of use to you too. By following... Read More with the sole purpose of sharing new videos, this IFTTT applet can help you save some time. It automatically publishes your new YouTube uploads on your WordPress blog. By cross-posting your YouTube videos to your blog, you can potentially increase views and grow your audience. Start: Enable this IFTTT applet and grant access to your WordPress account. It will grab the embed code of the newly uploaded YouTube videos and post it as a WordPress post. The title of the post will be same as that of the video. If you’re still using Blogger over WordPress, you can enable this applet. If you’re using Tumblr, you can cross-post videos using this IFTTT applet. If you’re a content creator on YouTube, you probably know the importance of keeping a record of the uploaded videos. Maintaining this record manually can be time-consuming. Thankfully, this IFTTT applet keeps a record of your uploaded videos in a Google Sheet, without requiring any interaction from your side. Start: Enable this IFTTT applet and grant access to your Google Sheets. Now, whenever you upload a new YouTube video, it will automatically add the name, description and the URL of the video in a Google Spreadsheet. Perhaps the best thing about IFTTT is that if you find the existing applets limiting, you can go ahead and create your own. All you need to do is create an “IF” condition for YouTube and “THEN” trigger an action by connecting another service. New liked video: This trigger fires when you like a video on YouTube. New video upload: This trigger fires when you upload a new public video. New video from subscriptions: This trigger fires when a channel you are subscribed to uploads a new video. Did you try the above IFTTT applets for YouTube? Which one of them is your favorite? Also, if you’ve any other interesting use-cases for such applets, do let us know about it below. Explore more about: IFTTT, YouTube. 5 Sites and Apps to Find Movies & TV Shows to Watch on NetflixWhat Can You Watch Using a TV Antenna? Abhishek Kurve is a Computer Science undergraduate. He's a geek who embraces any new consumer technology with inhuman enthusiasm.